Are you sick of your dreary sad looking lawn?? Do you distasted lawn mowing season? Is your r garden a mud pit due to our terrible Irish weather?? Well look no further….. 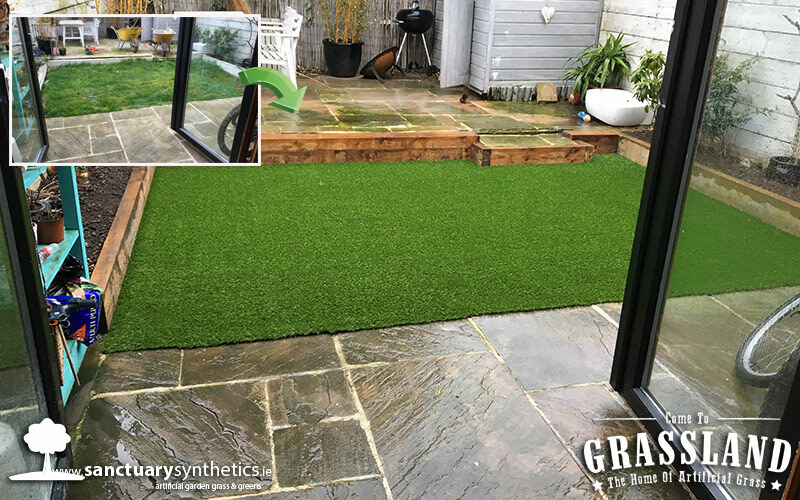 Sanctuary Synthetics are here to make all your lawn dreams come through!! Before we bring any materials through the house we put down protective flooring, so we do not damage any flooring when coming through the house, we are proud to say that our install crews are pristine workers and are often praised for there exceptional clean work not to mention how many compliments they get on their workmanship. 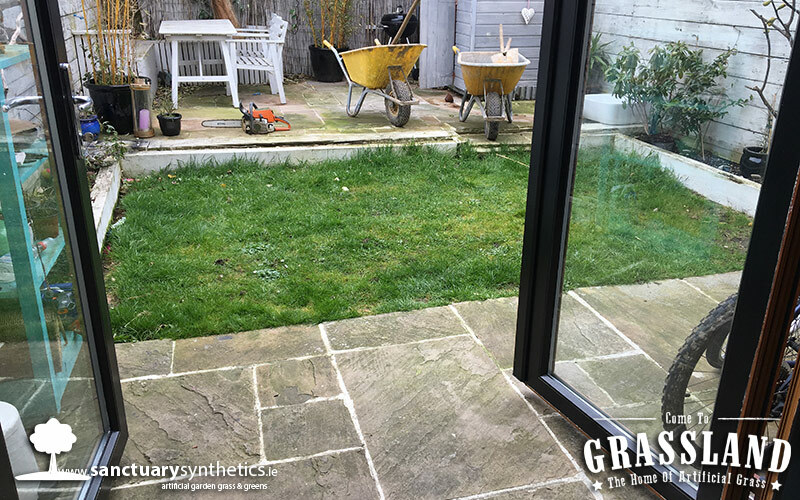 This small patch of grass needed a full installation, to get the ground prepped for installation for our artificial grass. A garden of this size would take no more then one day to install. 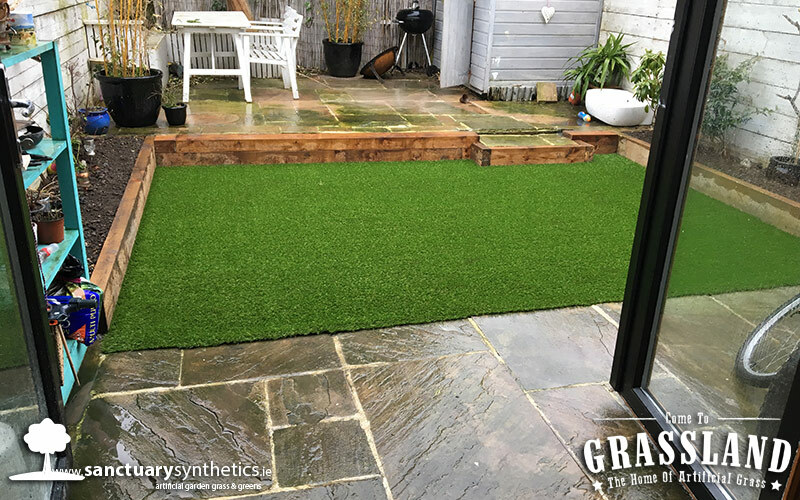 You can have you dream garden completed by the time you come home from work, with barely any evidence that our sanctuary synthetics crew have been there………well the most obvious being your new artificial lawn. This stunning Dublin garden is now a muck free zone, it is now ready to be loved by the family for years to come.